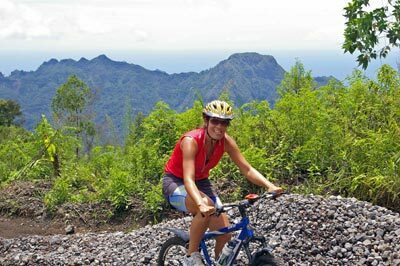 We have added some scheduled, join-in departures for this great mountain bike ride through the volcanic island of Flores, eastern Indonesia. We have also managed to keep the costs down so no change from last year. See here for update, or here for some pics from Tim Peterson & Louise Nielsen from California who completed the ride late last year.